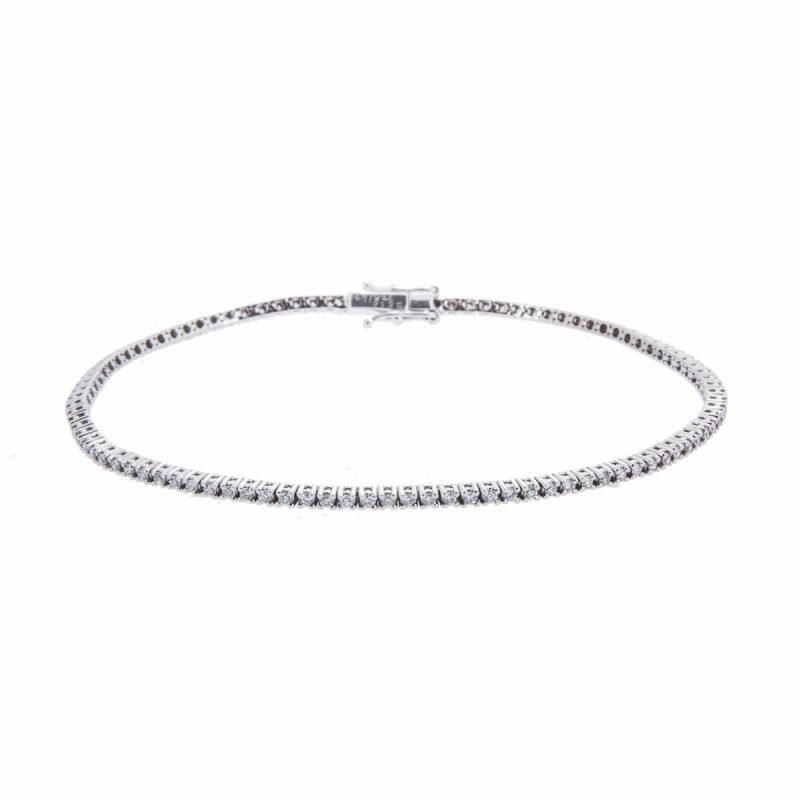 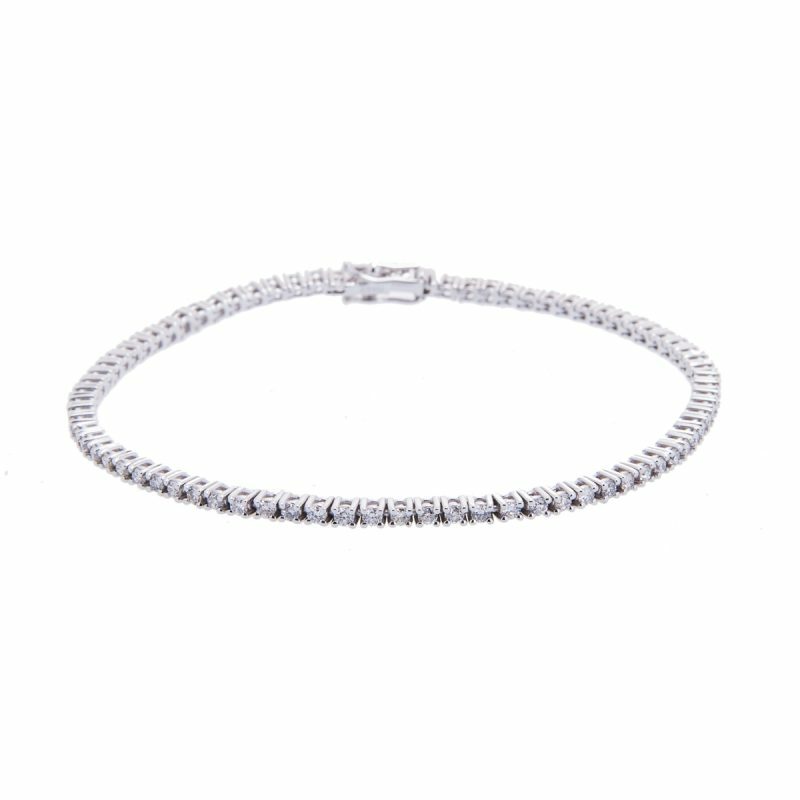 18ct rose and white gold diamond bracelet set with a row of brilliant cut diamonds, each gem mounted in a secure channel set bar, with an expandable round bead band completing the circle. 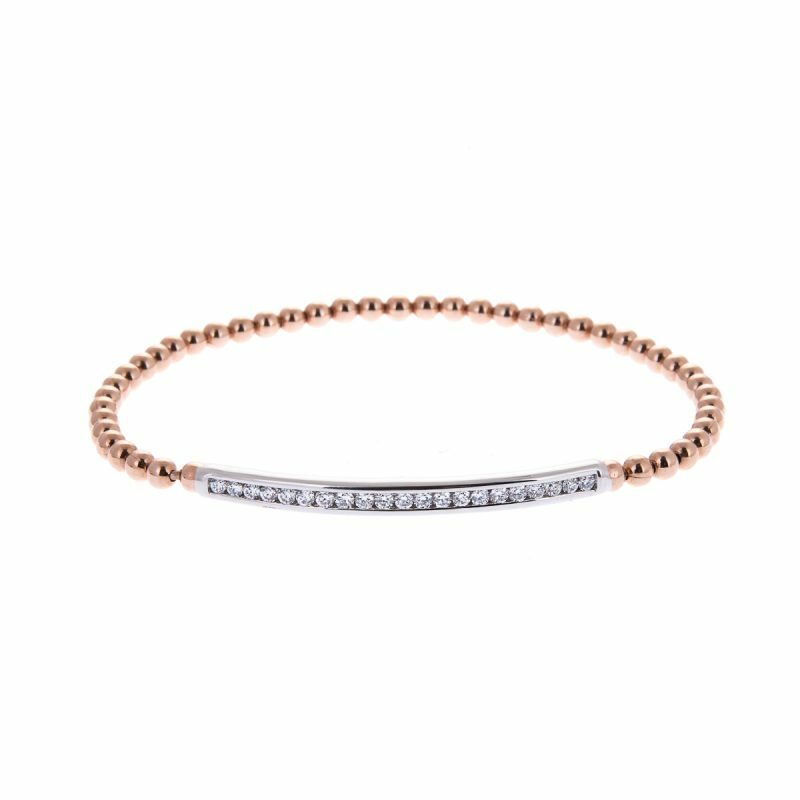 A precious statement of 18ct gold, past, present and future entwined together, forming this magical bracelet. 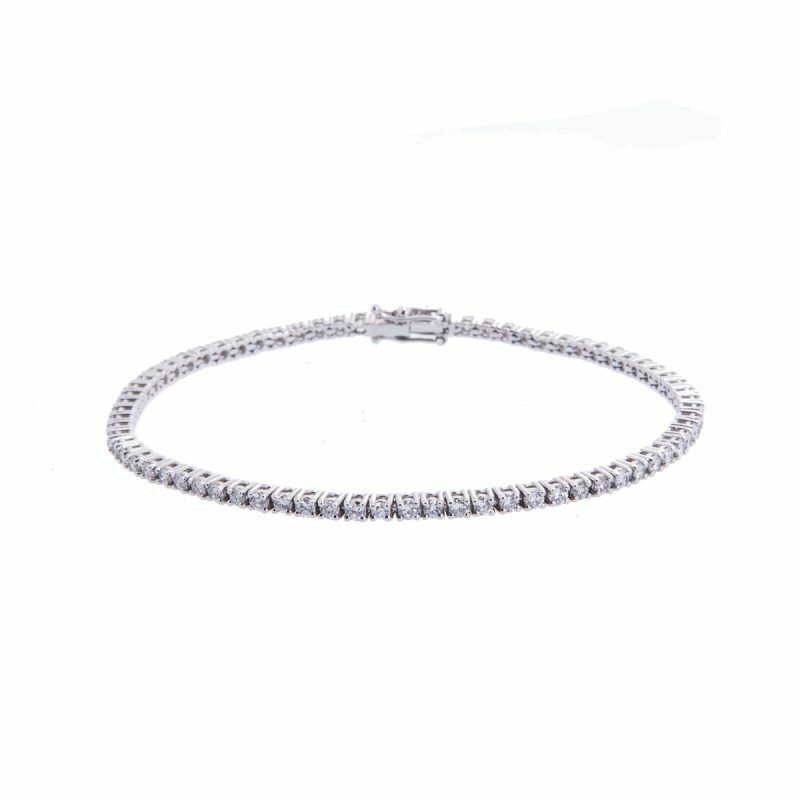 Clasped around the wrist it fulfils its promise, a precious gift of love.